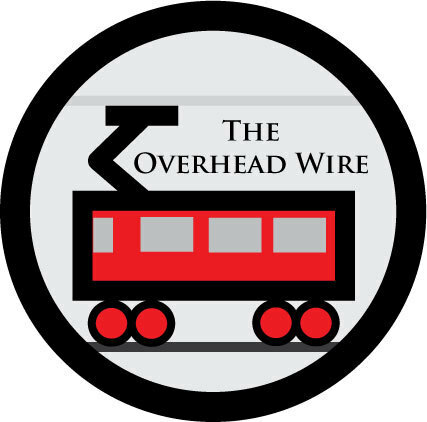 The Overhead Wire: Frank Lloyd Wright the Villain? Frank Lloyd Wright the Villain? There was an interesting Talk of the Nation episode on NPR about a month ago that discusses how Women as consumers are becoming a greater force and how smart businesses are changing to accommodate their needs. Keeping clean restrooms in auto dealerships and pointing to the room number on a sheet instead of saying it out loud in hotels are some of the changes that Paco Underhill writes about in his books that make a huge difference in safety and return business. In this clip however, he talks about his belief that Frank Lloyd Wright and Henry Ford were the greatest villains of the 20th century in their encouraged suburban development taking us away from the beneficial village community and pushing us to rely too heavily on automobiles and suburban development. It's an interesting listen and while we often think about Hummers as the suburban evil and now folks see them in that way, another thing is houses and their true needs. People often talk about McMansions but do people really need $30,000 Wolf Ranges as well? Likely not but I hadn't thought of these extra issues before. It makes me wonder what else we are McMansioning. It also makes me think about the flat that my parents had in Rotterdam. It was a very nice place and livable. Everything was available close by and the fridge was smaller than most here given you could get to the store everyday. The washer and dryer were small by American standards but again very efficient. Not everyone really wants to live that way of course but again there is this need to have choices for people such that they can decide how they want their lifestyle to play out. But even though FLW and his broad acre city plan were something that some think led to a suburban ideal, there were obviously much larger forces at work (which we've discussed in many a post before). So I don't know if I would call him a villain, just someone who saw the car and suburban lifestyle coming before its time. If you had to pick just one villain, who or what would it be? Eisenhower Freeway System? Lending Practices? Zoning Laws? Trying to pick "one villain" is an exercise in futility. It's like an article on the disappearance of streetcars that (among other things) listed "television": people stayed home and watched Uncle Miltie or Ed Sullivan or roller derby instead of taking the trolley downtown to the movies. Probably the "smoking gun (or tailpipe)" would be the Model T Ford. Once people got used to having their own "wheels", getting them back into what one writer called "collective transit" was an uphill battle. And the automobile industry kept steadily improving their cars, while many railways were still running trolleys that were built before World War I. I don't think Frank Lloyd Wright deserves as much of the credit/blame as the developers who figured out how to build homes by the dozen. How about newspapers that published articles in favor of better roads and more auto travel?After all, the auto industry and car dealers bought a lot more ad space than the local transit company. And encouraging the building and buying of new homes meant more ads for real estate sales, furniture and appliances. I honestly don't think one architect, especially this one can be villified for the whole movement of suburbia. The bigger danger to urbanism was Le Corbusier. Towers in the park was an even worse idea than Broadacre city in my opinion. It is easy to cast derision on ideas from the past, but more beneficial to see the influences of the those ideas. Wright was working in a time that was still primarily agrarian in the United States. His vision, like that of our founding fathers, was to give families independence and freedom. Perhaps if we had large gardens rather than manicured grass carpets around our homes, we would see this plan differently. Wright also worked in a time when the prevailing philosophy was the written by Rousseau. He postulated that happiness would come from working at home in a craft based trade such as carpentry, masonry, or farming. You would then spend most of the day with your family and probably have your children around all day to learn from their parents. While the validity of this idea is up for debate, the fact is Wright did not come up with Broadacre out of the blue. It was founded in the prevailing wisdom of the day. There is little to say on who was the greatest villain of the last hundred years so that we can point a finger and judge. There is a lot to say on which villain(s) are we not carefully scrutinizing in our own time. Mass-market appeal developers? Governments continued support of the aging autocentric infrastructure? Maybe, just maybe, architects who have retreated from the society it is supposed to serve, to design custom monuments(homes and towers) to their owners and creators. The question is not how to make mass transit work, the question is, how do we inspire the masses to want the transit that is for the good and happiness of everyone.